Fundipau and the Delàs Centre of Studies for Peace are the two Catalan NGOs out of the 468 international institutions taking part of the international campaign. 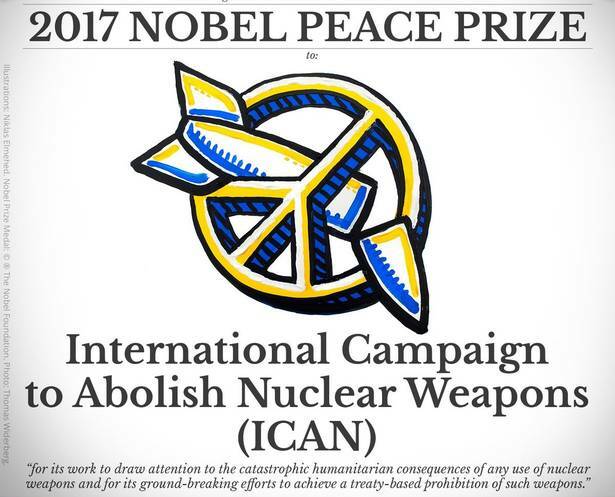 The International Campaign to Abolish Nuclear Weapons (ICAN) received the 2017 Nobel Peace Prize last Friday 6 October. The President of the Nobel Committee, Beri Reiss-Andersen, announced the award for the campaign thanks to their efforts to eradicate nuclear weapons all over the world. Out of the 468 institutions in 101 countries, there are two Catalan NGOs: Fundipau and the Delàs Centre of Studies for Peace. The initiative was launched with the goal of placing the question of the disarmament and non-proliferation of nuclear weapons at the centre of public opinion. The ICAN has spent the last seven years working with governments, the International Red Cross, and NGOs all over the world. “The organization is receiving the award for its work to draw attention to the catastrophic humanitarian consequences of any use of nuclear weapons,” declared the Nobel Committee during the concession of the award. “And for its ground-breaking efforts to achieve a treaty-based prohibition of such weapons,” they added. This agreement, the Treaty on the Prohibition of Nuclear Weapons, was reached on 7 July 2017, when the UN General Assembly approved it by 122 votes. On 20 September, in New York, the text was opened for signature and ratification by the states. 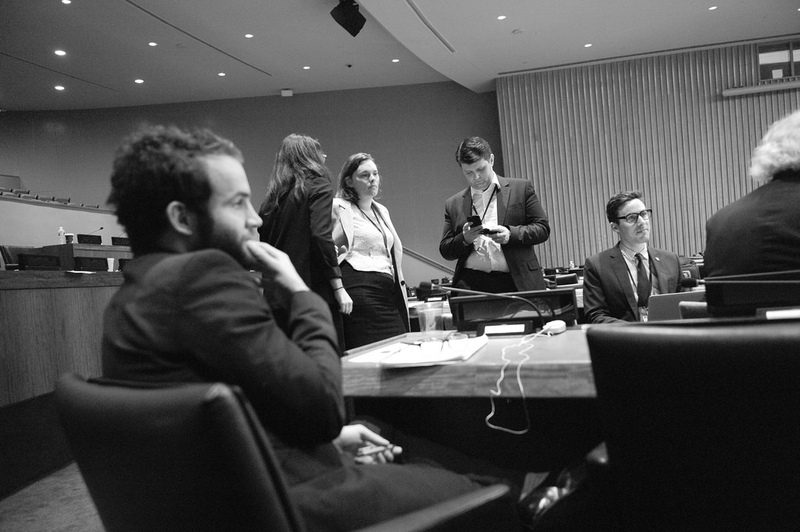 The executive director of the campaign, Beatrice Fihn, has stated that “although the Treaty is a very significant victory, actual disarmament is still a long way off.” The director of Fundipau, Jordi Armadans, highlights the ten years of work which culminated in the Treaty on the prohibition. “Now we must aim to get the nuclear States and NATO members such as the Spanish State to sign and ratify it in order to end the real threat posed by the 15,000 nuclear weapons currently found in the world,” he stated. 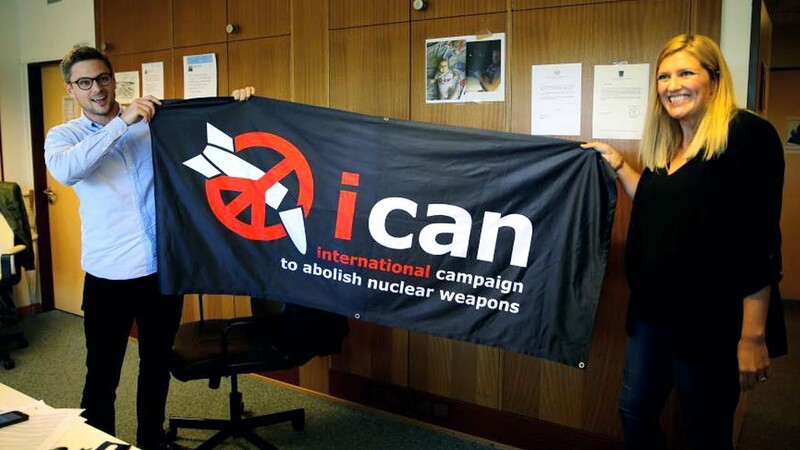 The ICAN thus joins other Nobel prize winners in the award’s over 116-year history. The previous winner, in 2016, was Colombian President Juan Manuel Santos, for his efforts to put an end to over 50 years of civil war in his country. A total of 97 people have received the award between 1901 and 2017, including figures such as Martin Luther King Jr., Malala Yousafzai, and Nelson Mandela.